PRAISE FOR "MEASURES OF SUCCESS"
"...with detailed, clear explanations of what Process Behavior Charts are and why they're so effective for managing data, Mark Graban has written a readable, informative book to guide any leader who wants to help an organization achieve true and lasting success. Improvement has been made easier thanks to his work." Author of "WHEN" and "DRIVE"
I help people in many industries improve their business processes and results. With methods grounded in Lean, math and science — backed by data. Better to make choices based on facts — instead of opinions, hunches, or feelings. Learn how to convert data, metrics, and charts into knowledge and wisdom — driving more improvement. That’s what I do and why I wrote Measures of Success. 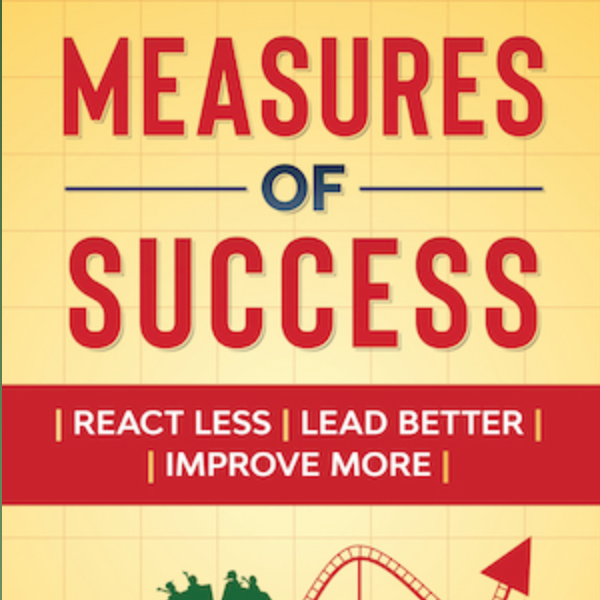 MORE PRAISE FOR "MEASURES OF SUCCESS"
"Too often, organizations waste time and energy responding to short-term fluctuations in performance that do not reflect sustained trends. Measures of Success provides leaders with a blueprint for separating signal from noise, and focusing resources on lasting improvement." The data-driven decision-making techniques in this book will stop you from confusing activity with progress and—finally—get things done. [Mark] shows us precisely how to avoid the data interpretation traps that can lead us astray in our attempts to improve our systems. Mark has produced an excellent book to help improvement professionals and leaders alike gain clarity about how their processes are actually performing to drive more relevant improvement. Bravo! Mark Graban’s Measures of Success offers an engaging and practical guide... an essential addition to any Lean or Six Sigma learning library. Mark's book brings much-needed clarity to this important topic and will be invaluable to anyone seeking to make sustainable improvements to their processes. Mark Graban taught the KaiNexus team how to understand the story a metric is actually telling over time. We've saved time by not overanalyzing every up and down in our metrics — and that’s valuable time we now put to better use. "Mark has hit another home run with this work. Measures of Success is the book that everyone who is serious about improvement needs to read." I’ve long thought the world would be a better place if everyone took a statistics class; but this book is much better (and shorter)! See the pattern around this whole signals from noise thing? Enter your e-mail. We’ll send it right over.